The Reserve Bank of India (RBI) has revised and tightens the guidelines on restructuring of advances by banks and financial institutions, taking into account the recommendations of the B Mahapatra committee. The Working Group (WG) has recommended that the RBI may do away with regulatory forbearance regarding asset classification on restructuring of loans and advances in line with the practice followed in several jurisdictions with effect from April 1, 2015. It implies that a standard account on restructuring (for reasons other than a change in date of commencement of commercial operation) would be immediately classified as sub-standard on restructuring as also the non-performing assets, upon restructuring, would continue to have the same asset classification as prior to restructuring and slip into further lower asset classification categories as per the pre-restructuring repayment schedule. The stringent norm has been relaxed in some cases. Standard infrastructure and non-infrastructure project loans could retain the standard asset classification on restructuring if the DCCO is changed within two years (for infrastructure projects) and six months (for non-infrastructure projects). However, a commensurate longer period may also be extended by banks to non-infrastructure loans in view of the extraneous reasons for delay in achieving DCCO. 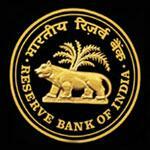 RBI has extended the prescribed period of ‘six months from the original DCCO’ to ‘one year from the original DCCO’. The central bank has modified rules owing to delays in commercial real estate (CRE) projects and the public private partnership (PPP) as well. Earlier, banks were required to make a provision of 2 per cent on restructured standard accounts for different periods depending on the way an account is classified as a restructured standard account. However, in order to prudently recognise the inherent risks in restructured standard assets in the interregnum, WG has recommended that the provision requirement on such accounts should be increased from the present 2 per cent to 5 per cent. As an immediate measure, the RBI has increased the provision on restructured standard accounts to 5 per cent from 2.75 per cent for new restructured standard accounts from June 1, 2013 in a phased manner. The option of notionally computing the amount of diminution in the fair value of small accounts at 5 per cent of the total exposure at small/rural branches for all restructured accounts where the total dues to bank(s) are less than Rs 1 crore would be available to all branches. Standard accounts classified as NPA and NPA accounts retained in the same category on restructuring by the bank should be upgraded only when all the outstanding loan/facilities in the account perform satisfactorily during the ‘specified period’, i.e. principal and interest on all facilities in the account are serviced as per terms of payment during that period. No account can be taken up for restructuring by the banks unless the financial viability is established and there is a reasonable certainty of repayment from the borrower, as per the terms of restructuring package. The viability should be determined by the banks based on the acceptable viability benchmarks determined by them, which may be applied on a case-by-case basis, depending on the merits of each case. WG has recommended that RBI may prescribe the broad benchmarks for the viability parameters based on those used by CDR cell; and banks may suitably adopt them with appropriate adjustments, if any, for specific sectors. Currently, for attaining viability, the condition is that the unit should become viable in 10 years, if it is engaged in infrastructure activities, and in seven years in the case of other units. RBI has decided that banks should ensure that the unit taken up for restructuring achieves viability in eight years, if it is engaged in infrastructure activities, and in five years in other cases. Besides, the RBI has provided incentives for quick implementation of restructuring packages and in the case of rollover of short-term loans; it has clarified situations where these might not be considered as restructured accounts. It has recommended promoters’ sacrifice in cases of restructuring of large exposures under CDR mechanism. In such cases, the promoters’ contribution should be prescribed at a minimum of 15 per cent of the diminution in fair value or 2 per cent of the restructured debt, whichever is higher. WG has recommended that conversion of debt into preference shares should be done only as a last resort and such conversion of debt into equity/preference shares should, in any case, be restricted to a cap (say 10 per cent of the restructured debt). It has also recommended that any conversion of debt into equity should be done only in the case of listed companies.